Talia Fleishman '18 was the recipient of the 2018 Annual Alumni Scholarship. She was accepted to the honors program at NYU Steinhardt School of Culture and Education as a double major in Applied Psychology and Studio Art. Your help is needed. Please make a donation of $25 or more. If you would like to make your donation in honor of a special teacher or classmate, please fill out the information on the form and we will pay tribute to them on our website. On Friday, March 1, old and new members of the Avenue of Giants returned to Redwood to speak to clases. The induction banquet followed at McInnis Club Restaurant. 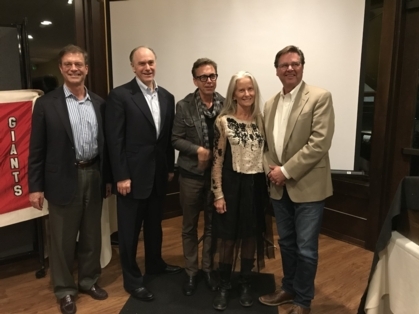 Family, friends and many retired teachers returned to honor Michael Jacobs '72, Rob Watson '79, Matt Leutwyler '84, Cynthia Boeck Hardy '77 and Grant Davis '80. More photos in the photo gallery. LEGACY BRICK TIME: ORDER YOURS TODAY! Legacy Bricks are a great way to make a lasting impression at Redwood, honor your classmates or recognize staff members. These personalized pavers will be placed in the lunch plaza this spring, in time for graduation. BUY YOUR LEGACY BRICK TODAY! 2019 REUNIONS Let us know your plans! It's not too early to start planning reunions for 2019. In fact several classes have already begun. 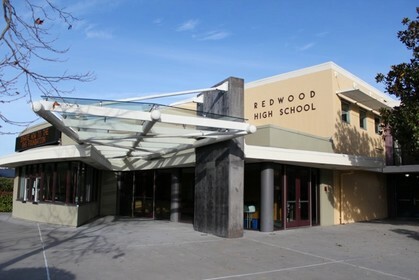 Contact us at reunions@redwoodalumni.org and we can help you get started and send you the class database. Date and ticket prices are set for the Class of ’69 Reunion. 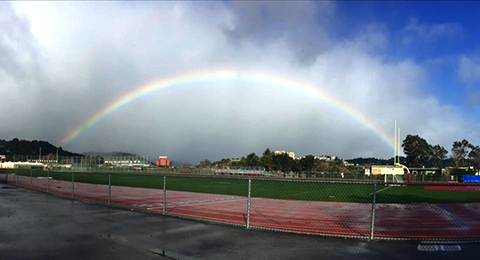 Classmates are encouraged to create your profile on this alumni site for more information or to send an email to redwoodhs69@gmail.com for more details. We have over 24,000 alumni, with only 3500 having joined our website. We have 6-8 alumni "running the show" through the Alumni Council. We would really like to have new ideas, fresh faces and more involvement. Check out our next meeting! We are working to create a place where you can find local Alumni businesses and services or promote your own! It's always nice to be able to support Redwood alumni. We are just getting started. If you would like to list your name, grad year, business and a link to your website, email or phone as a charter member, please contact Ted Wray at jtedwray@gmail.com. 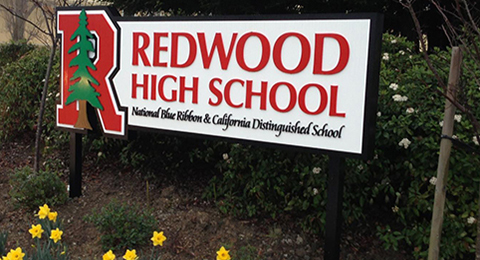 50 YEARS OF REDWOOD HISTORY IN VIDEO! Unfortunately this site has been taken down due to a copyright infringement challenge. It is available on Disc if any class wishes to use it for a reunion. SURPLUS YEARBOOKS AVAILABLE FOR SALE! The Redwood Alumni Association has purchased most of the surplus yearbooks from Redwood for a very good price...We can offer them to you for only $50 including shipping and handling. We have one or more for most classes since 1975, some classes being more scarce. If you have lost a yearbook or never bought one, and are interested, please contact info@redwoodalumni.org with your name, year of yearbook and mailing address. We will notify you and if the yearbook is available, will give you payment instructions! Yearbook purchase(s) are available to Redwood alumni only. Redwood Class of '72 For the past few years we've enjoyed meeting up at McGinnis Golf Course's back patio and we want to do it again! Come by October 18 5:30 pm to casually hang out with Redwood classmates. It's easy to enjoy visiting over a drink. No host, no fuss. The more the merrier! Bring your siblings! Spread the word. See you there!